Did you know there are drive-through liquor stores? Yet, when my son runs out of diapers five minutes after my husband leaves for work I have to pack up both kids and go to the store. Of course, it’s not that simple. First I have to fashion a new diaper for the baby out of a size 5 pull-up held in place by a pair of elastic-waist pants, buckle everyone into the car with snacks and drinks because the five minute drive is too long for them to sit quietly without a distraction, locate the required Frozen song on my iPhone so the three-year-old will stop whining, and drive the ¾ of a mile to the nearest Walgreens. As if that wasn’t bad enough, I now have to unbuckle the kids, carry the one-year-old while corralling the three-year-old like a sheepdog, stand in line behind some unpleasantly scented man buying booze at 9:00am, pay for my box of diapers, then start the process all over again of strapping the kids into the car. Seriously? Drive-through liquor stores? I mean, who are these people who are too lazy to get out of the car to buy beer? Where are they going in such a hurry? Should they even be driving? Surely, there are plenty of moms with young kids who would happily frequent shops that don’t require them to bring the entire marching band with them into the store. I believe there is a real market for drive-through everything, and here is a list of the top 5 businesses I’d like to see converted. 1. Grocery stores – I’d like to propose that grocery stores offer online shopping for 20-items or fewer, then offer pick-up services where they retrieve the items from the shelf, bag them, and you swing through the drive through and pick them up. They could even limit the items to very basic necessities: bread, milk, diapers, eggs, etc. I’d pay a pretty hefty surcharge just so I could avoid dragging my hungry, crabby and/or wet children through the store. 2. 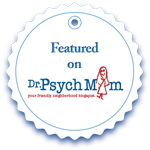 Salons – There are times when my kids are completely happy in the car, watching tv or napping, and I know that as soon as we stop to go anywhere they’re going to wake up and take revenge on the fool who disturbed their peace. I’ve often wished there was something productive I could do while remaining in the car. Wouldn’t it be great if you could pull up to a window, stick your hands out of the car and get a manicure? It would be like a carwash for your hands. The kids get to sit happily in the car and you get pretty French tips. It’s a win-win. 3. Vending machines – We’ve all discussed my Diet Coke addiction, and I’m working on it, but there are days when all I want is a soda. However, once again I’m faced with the decision of whether or not to disturb the kids’ quiet time or just suffer the impending caffeine headache. I usually choose the latter. Before you even suggest it, fountain soda is not the same as a bottle: it’s flat, inconsistently syrupy, and the ice melts in about five minutes to make it watery. Drive-through vending machines would solve this problem. They could function like ATMs and even let you pay with your credit card. Who wouldn’t enjoy access to candy bars right from the comfort of your driver’s seat? 4. Kids’ clothing stores – I don’t know about everyone else, but I never make my kids try clothes on before I buy them. I have a hard enough time getting my three-year-old and one-year-old dressed once a day, let alone three or more times depending on how many items I’m buying. No thanks. Couldn’t some of these stores post their new stock on a menu board like a fast food restaurant and just let people order the colors and sizes they want? Surely they’d save money on rent since they wouldn’t need the space to display all the items. They could just leave them in the boxes they received from the manufacturer and hand them out as needed. 5. The Post Office – Yes, I know there are mailboxes that you can drive up to if you have pre-stamped letters to mail, but who keeps books of stamps in their purses anymore? I can’t remember the last time I mailed a physical letter. I do, however, mail and receive packages on a regular basis. Why do I need to get out of the car, drag my kids into the tiny room with the infinite line and just to fight to keep them from pulling on the velvet ropes separating the dozens of twists in the never-ending queue? Surely, the entire package mailing and pickup process could be achieved through a window. Obviously, since I’m the woman that’s too lazy to get out of her car to do errands, I’m not the person to champion any of these changes. So, if anyone out there is looking to start a new business and make my life easier in the process, here are a few ideas. You get right on that. What types of businesses would you like to see converted to drive-through? Actually, a lot of your postage stuff you can do online. Get a postal scale, and you can print off labels etc, and leave packages for your postman rather than taking them to the post office. Our local CVS has a prescription drive-through and will let us get one or two items off the shelf when we’re picking up pills… Just a thought. I agree, a grocery service would be amazing! I think some stores do offer a personal shopper service. Might be worth asking about. Great suggestions! I know we have a drive through pharmacy, but I don’t think they fetch things off the shelves. Maybe in a pinch. I like the idea of hiring local kids though. I might have to think about that one, especially if the kids are sick or something. Agree with the above. I would prefer the wine delivered on my doorstep like the milk bottles used to be, but I will settle for drive thru. As for me, I need a drive thru vet and groomer. We have a high-maintenance dog! That is a brilliant idea! I’d love to just drive up and shove my dog through the window at the groomers! I need a drive through grocery store. Not for the “whole list full of stuff” trip, just for the “OMG, we’re out of milk are you kidding me right now” trips. There’s no time to order ahead, because if I were on the ball I wouldn’t need the drive through option either! How about a drive through Pediatrician? Throat Swab, quick vaccine, etc. I love it!! YES! The pediatrician is a great idea! Just for simple stuff. Things you would go to convenient care for. Great idea! #1 aaaaaabsolitely. Just for little trips. I think this all the time! I enjoy the drive up library book drop off, but my new town doesn’t have that. I have to respectfully disagree on the Coke thing – I only like real, not diet and it must be fountain, not bottle or can, but I will listen to your ice issue and try to understand where you are coming from. I once begged walgreens to get some saline nose spray off the shelf at the drive through and let me pick them up with my prescription and they did it along with a stern warning that it was a special circumstance because my kids were in the car sick in the backseat coming from the dr.
I’m with you on the post office needing a drive-thru. And why they’re at it, how about some personable help! Totally with you on these–although I’d prioritize drive-through liquor stores above the salons and kids’ clothing store. After a couple of glasses of wine (safely at home), I don’t care what the kids are wearing anymore. Ha ha ha. I hear that! I am totally with you on this one! And also too lazy to start ANY of them. Bummer. And I feel ya on the velvet rope maze in the post office. And any other place with a line. It’s like a beautiful handmade invitation to naughtiness for my kids. Yup. My kids are the crazy ones tugging on that sucker until it falls over on someone or until I have to hug them next to me while they are screaming bloody murder to keep them away from it. Either way….aren’t you glad you are next to ME in line?! I love the idea of a drive through for groceries. Now THAT would be an express lane! When I moved houses when my son was about 20 months old, the first thing I did was locate the pharmacy with the drive-thru, the dry cleaner with the drive-thru, the bank with the drive-thru, the bagel shop with the drive-thru, and the Starbucks with the drive-thru. The Starbucks with the drive-thru was waaaay farther than the one with NO drive-thru, but I didn’t care. I. DIDN’T. CARE. They got my business. Yeah, I’ve been known to drive 5 miles out of my way just to go through the drive through coffee shop. I’m with ya, sister. I agree with all of these! I can’t tell you the number of times I decide not to go somewhere because there is no drive-thru, and getting my 3 cherubs out of the car again seems like too big a task. I have to say, we have a drive-up grocery store situation here, and it’s amazing. I order online, a store shopper finds the stuff and loads it into my car when I pull up. Done. Done. Done. There are times I end up with 8 balls of mozzarella or one banana, but the benefits outweigh the little annoyances. Totally worth it! I wish we had one of those. When we lived in the UK we did all our grocery shopping online and they would deliver it to the house. It was AMAZING!! Awesome ideas. I’d like to add gas station attendants because 1. It’s easier and 2. the receipt NEVER prints out. No thanks to running inside with my 2 under 2. Right?!? I’m from Oregon and we always had drive up gas station attendants. It’s actually illegal to pump your own gas in Oregon. They look at you really funny if you get out of the car. I LOVE it! We just got a drive through grocery store, and it looks amazing! Can’t wait to try! Grocery store for sure – as long as one of my 20 items could be wine. If not, then a drive-thru wine store. Yup. How about any food other than fast food. Like even call ahead on your way, pay with card and they bring out to you. Many a time have I just wanted some lunch and munchkin is passed out in the back. I’m sure not taking him out to go in and pay for food.